I like the contrast between the white and the gray; the white-edged gray clouds with the blue sky; the big sky with the small strip of land. 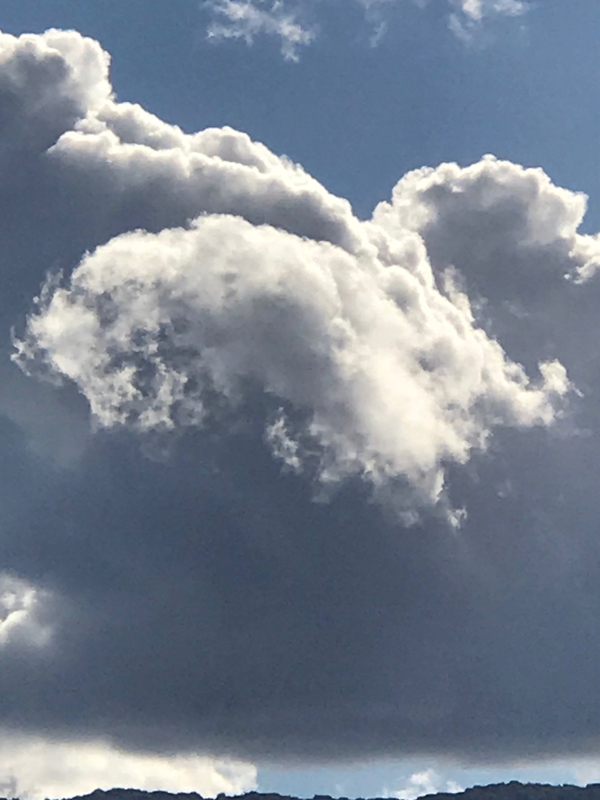 This entry was posted in Personal Stories and tagged abstract expressionism, abstract photography, art, clouds, creativity, drama, dramatic photograph, photography, sky photography, visual art. Bookmark the permalink. It’s like 2 worlds stacked on top of each other. That’s the great thing about clouds. They are always changing and always present different worlds. Thank you, C.